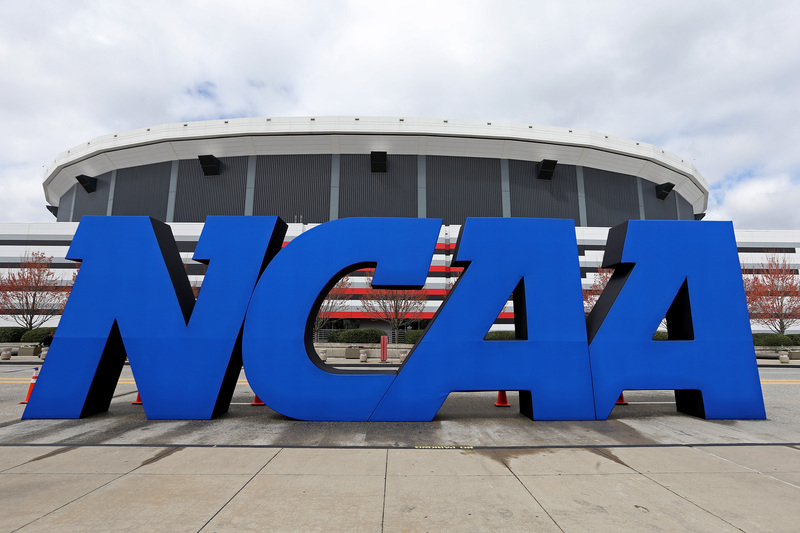 In this year’s Final Four, we’ve got multiple programs (Kansas, Villanova, Michigan) associated with success at the highest level in the sport of college basketball. And then…there’s the Cinderella of all Cinderella teams: Loyola-Chicago. The No. 11 seed has made an improbable run to the Final Four — besting Power Five competition (Miami, Tennessee, Nevada, Kansas State) in every round en route to the promised land of San Antonio. Though they’ve got God and Sister Jean on their side, the Ramblers are tasked with slowing down a highly confident Michigan squad. The Wolverines had an interesting road to the Final Four themselves. After a buzzer-beater victory over Houston, Michigan smashed Texas A&M by nearly 30 points, and held onto a close win over an athletic Florida State team. When looking at this match-up, both teams really only play seven players for extended minutes. Stylistically, there’s some considerable crossover. Loyola-Chicago employs a four-guard line-up and true freshman center Cameron Krutwig. Michigan does start a pair of forwards (Moe Wagner, Isaiah Livers) — though guard/forward Duncan Robinson assumes most of the minutes next to Wagner up front. Loyola-Chicago has been highly stingy on the defensive side of the floor. In the NCAA Tournament, the Ramblers haven’t allowed more than 68 points in a single game. Porter Moser’s team is switchy in all pick-and-roll situations. Collectively, the unit moves their feet well, and is highly active with their hands. Both Michigan and Loyola-Chicago are relatively similar in both size and height. UM sophomore big man Jon Teske is 7’1″ — though he features sparingly off the bench. With the Ramblers running much of their sets through their assortment of guards, the Wolverines’ starting backcourt of Zavier Simpson and Muhammad-Ali Abdur-Rahkman will have to be disruptive in moving players from their spots. If not, Loyola-Chicago has the ability to both shoot from beyond the arc as well as slash to the rim. A big aspect of this game to watch for is the three-point line. In the tournament, the Ramblers are shooting a blistering 42-percent from beyond the arc. Michigan has been incredibly volatile in this category. In the 27-point drubbing of Texas A&M, the Wolverines shot 14-of-24 (58.3-percent) from three. Against Florida State in the Elite 8, John Beilein’s team went 4-of-22 (18.2-percent). Michigan cannot underestimate Loyola-Chicago’s effort on both sides of the floor. This veteran bunch is physical, relentless, and trusts immensely in one another. The Wolverines won’t be getting a ton of open, easy looks like they did against the Aggies. Outside of the surprising 16-point rout of Kansas State in the Elite 8, Loyola-Chicago won three games by a combined four points. One envisions this game resembling a closer one as opposed to a one-sided affair. 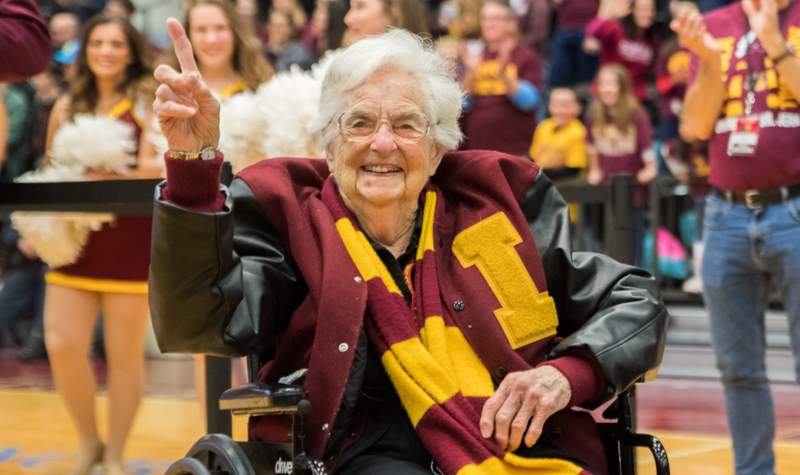 Unfortunately for the Rambles and Sister Jean, Loyola-Chicago’s magical run will come to a close in San Antonio. Krutwig is one of the best rebounders on the team, and is easily the squad’s biggest body. While not putting up huge numbers, he’s had surprising effectiveness in the tournament. Krutwig doesn’t possess the foot speed to keep up with Wagner off the bounce. Duly, Krutwig likely can’t defend very well in space when Wagner is posted up on the perimeter. Loyola-Chicago can opt to put a smaller, quicker defender on Wagner (Donte Ingram, Aundre Jackson). However, Wagner will still have a four-to-five inch height advantage on this duo. He’ll simply shoot over them — whether from the three-point line or in the post. Wagner also will have a decided advantage on the boards. From there, Krutwig may be forced to defend against another perimeter oriented player in Robinson — which then mitigates Krutwig’s significance as a rebounder and presence in the paint. If Krutwig were to be subbed out, the tallest player on the floor for Loyola-Chicago would then essentially be 6’6″. Secondly, Beilein is far and away the best coach Loyola-Chicago has played against in this tournament. With a week to prepare for the Ramblers, expect Beilein to showcase a few wrinkles of his own. Many consider this match-up to be the de-facto National Championship. While we won’t take it that far, the battle between the only two remaining No. 1 seeds will surely produce some fireworks. Jay Wright and his Wildcats have lived up to their lofty expectations. By every statistical measure, Villanova has dominated their competition thus far. Each of their four wins have come by double-digits, and they’re out-shooting their opponents from the field 45.1 to 36.7. We’ve seen what this Villanova team is capable of when they start getting hot from the field. Wright has adopted many of the same offensive principles that have propelled the NBA’s Golden State Warriors and Houston Rockets to the elite ranks. Villanova doesn’t play a contemporary big man. Instead, they rely heavily on skilled guard play and hybrid stretch fours. Of course, top players such as Jalen Brunson and Mikal Bridges get much of the credit, but Omari Spellman, Eric Paschall and super-sub Donte DiVincenzo have just as much of a hand in Nova’s success. Although the Wildcats have convincing wins on their resume, it hasn’t been the easiest of roads. Villanova’s offense struggled mightily against Texas Tech last weekend. They shot an abysmal 4-of-24 from three, and made just 33.3-percent of their shots from the field. However, winning games in this fashion speaks volumes to their ability as a team. Villanova was able to beat one of the best defensive teams in the nation — on an off-shooting night. When they’re clicking, nobody can stop this offense. However, the same can be said for the Jayhawks. Kansas’ up-and-down attack vaguely mirrors that of Villanova’s. They play four guards, with 7-footer Udoka Azubuike manning the middle. Their offense is versatile. They’re at their best when they can get out in transition and shoot early, but the game against Duke also proved they can be patient and look for weaknesses. Kansas’ main catalyst is All-American guard Devonte’ Graham. Graham has filled the shoes left behind by former Jayhawk Frank Mason III. They’re both smaller lead guards that can attack the rim and shoot with range, but Graham has a uniqueness to his game that has helped propel Kansas in what many thought would be an off-year. Graham is liberal with his shot selection, and only needs a sliver of room for it to qualify as a good look. Outside of Graham, the Jayhawks have a trio of talented swingmen that can stretch the floor and make plays off the bounce. Svi Mykhailiuk might be the most well-known name. The senior from Ukraine has ice blood in his veins. Even after missing a handful of open shots in the Elite Eight game, he was able to step up and hit one of the biggest baskets of the night in the closing seconds to send it to overtime. Mykhailiuk isn’t deterred when he’s having a bad game — he’s always ready to shoot. Vick is a bouncy junior that knocks down 38-percent of his threes. He helped exploit Duke’s zone with a couple of nifty touch passes from the foul line. Newman has been scorching hot from downtown in this tournament. The Mississippi State transfer has hit 13-of-27 threes over the past three games. The Graham-Brunson clash is the marquee match-up of the night. Brunson narrowly edged out Graham (and a few other worthy candidates) for the 2018 National Player of the Year award. Both players play with a ton of heart, and won’t back down for the entire 40 minutes. We have to give Brunson a slight edge only because he can affect the game in more ways than just scoring. It’s a bit more difficult for Graham to contribute when his shot isn’t falling. Outside of the point guard duel, there are plenty of other interesting match-ups across the floor. It will be interesting to see how much Kansas coach Bill Self can play his center. Azubuike is decently mobile, but he loses a lot of his value if he’s forced to chase Spellman or Paschall around the three-point line. You could see Self going to some zone coverages, or even bringing in plus-athlete Silvio De Sousa off the bench earlier than usual. This game could come down to a coaching battle. Self is coming off one of the best performances of his life against Duke, effectively out-coaching all-time great Mike Krzyzewski for the majority of the game. Wright can do no wrong after his 2016 National Title run. Both coaches have been here, done that, but Wright has the better team this year, and will showcase that on Saturday.